Imagine an association football, or soccer league where you can ideally sign anyone you wish, at anytime. The world’s leading leagues have all folded, and everyone has been redistributed, with all leagues restructured. Could you lead your all-new team to glory by signing the right players, choosing the right tactics, and being as sharp as possible while out there on the pitch and working your way up from league to league? 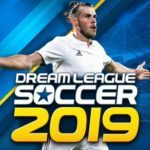 That’s the premise behind Dream League Soccer 2018, the latest game in the series, and once again coming straight to you from First Touch Games, which has also released games such as Score! Hero. 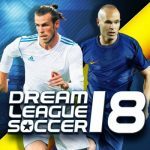 This new Dream League title has been out on iOS and Android for some time, and your objective will once again to rise through the leagues (six of them, to be exact), and make it to the Elite Division, improving your team by developing your existing players, or hiring some of the world’s best real-life players. 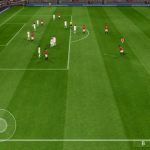 For years, the Dream League Soccer franchise has been one of the more popular soccer gaming franchises in the mobile scene. That also makes it one of the deeper such franchises out there, and it stands to reason that you can expect a lot of tips for the franchise’s latest entry. 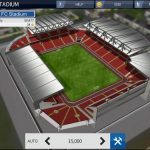 But we’re going to start out with tips and tricks that are ideally designed for anyone who is just starting out – check out this Dream League Soccer 2018 beginner’s guide, especially if you’re used to pure soccer management games and not sure how to go about a game where you actually control your team’s players! Before anything else, we need to establish what Dream League Soccer is, as compared to other games of its kind such as Football Manager, for instance. While you will indeed have a chance to manage an association football club, most of what you’ll be doing in this game will take place on the pitch itself, as you control your team’s actions on offense and defense. Fortunately, the controls are simple enough – tap on B for an ordinary pass/shot or defensive challenge, tap on A for a long pass/shot or an aggressive challenge/tackle, tap on C for a floating pass/shot or to switch from one defender to the next. It’s controlling your players that can be challenging, and you will invariably have to deal with opposing teams that remind you why soccer/association football is called the “beautiful game,” while making awkward passes that get intercepted, or wayward shots that result in goal kicks. But that’s why you have Training mode, which can be accessed by going to My Club, then heading to the bottom right of that menu – while you may think this is where you need to go to improve your players, this is actually where to go to practice your offensive and defensive maneuvers alike. The first thing you’ll be asked to do is to choose a team captain – you’ll be asked to choose one out of five good players to serve as your captain, but since there aren’t any visible leadership stats in this game, we suggest that you go with the best player among the choices in terms of overall rating. You can also choose someone who fits your desired play style, e.g. a striker/forward if you prefer an attacking style, or a center back or goalkeeper if you want to focus more on defense. After the game gives you a brief tutorial, you will essentially be thrown to the wolves – you’ll get to play the rest of your first game with little prompting on what to do or what not to do. Chances are you may lose that game, but don’t panic, as your team goals wouldn’t be too lofty at first. Furthermore, you’ll earn a tidy 1,000 gold for completing your first game, win or lose; you can then use this currency to buy new players in the transfer market to further beef up your team. As we mentioned above, things may be rough during your first few Dream League Soccer 2018 matches – the art of crisp passing and clinical goal scoring cannot be learned overnight, especially if you’ve still got a team of scrubs, save for your captain. But when talking about the basics of offense in this game, it all boils down to keeping your eyes on the ball, and also keeping a close eye out on the players on defense who are trying to strip you off the ball, and making sure there’s an open man to receive your pass. You’ll also need to learn when to hit the A button and the B button – using the A button too much will often result in wild passes and shots that may result in a loss of possession, or the ball going out of bounds, while using the B button too much, or playing it too safe, may often lead to defenders stealing the ball from right under your feet. Don’t neglect the C button as well for those floaters. Double-tapping or swiping right (we personally prefer the former) allows you to perform special moves, such as fancy dribbles, and that could help you throw off your defender. You can also swipe right while the ball is in the air after hitting on the A button, in order for the next offensive player to perform a special move that increases your chances of keeping the ball in your possession. By default, the game will automatically switch defenders for you, based on who’s closest to the ball. This could result in problems, as the nearest defender to the ball might be trailing behind the opponent who’s in control of it; this could also mean trouble if you’re dealing with an opponent with a particularly high rating. Meanwhile, the defenders being controlled by the AI just stand there, waiting for the action to come their way, even if they have a chance to get in front of an attacking player with the ball and make a challenge for possession. In order to avoid this pitfall, you’ll need to hit on the C button while on defense to switch to another defender whom you feel has a better chance of making a successful challenge and de-possessing the man with the ball. Just like attacking, playing defense may take some getting used to, if you’re used to football management games where you’re in charge of lineups, tactics, and in-game strategies, among other managerial tasks, but not directly controlling the players on the pitch. But that’s what the aforementioned Training feature is for – so you can get the hang of Dream League’s controls and do a better job using them during an actual game. Using the B button when tackling is generally a safer way to go, but we’ve gotten a few yellow cards while making such challenges. Be aggressive on defense if you must, but avoid any situation that could get you in trouble with the referee! That 1,000 gold should be good enough to buy you one player who’s much better, if not on the same level as your captain, than the rest of your team. But beyond that, it could get difficult to earn gold in the game; winning a match will only earn you a handful, and if you lose a match, all you may end up with is just one measly gold coin, almost like a “participation trophy.” But regardless whether you end up victorious or on the losing end, Dream League Soccer 2018 will ask you if you want to watch an ad video to earn an additional 30 gold at the end of a match. It still won’t be much, especially if you consider how much it costs to buy a new player in the transfer market, but it could add up as you keep playing more games and keep making your team better. 7. Which New Players Should You Prioritize In The Transfer Market? Unlike other soccer games with management mechanics, Dream League Soccer 2018 allows you to directly purchase players from the transfer market. There’s no bidding period wherein you compete against human or AI managers, and no special rules either when it comes to buying new players – just scroll through the list of eligible transfers, filter them by position or rating if you wish, and buy the player, who will then be automatically added to your bench, and eligible to play in the very next game. It’s as simple as that, though we should also add that if you want to add some of the better players in the game, you may need to buy gold packages in the in-game store with your real-life money. During the early stages of the game, it’s a good idea to focus on players with ratings of 68 to 72 or thereabouts, or those that cost 500-600 coins or less. Avoid players whose ratings are too similar to yours – it wouldn’t make much sense, after all, to replace your center midfielder with a 64 rating with someone else whose rating is a 65 or 66, or worse, lower. As for position, it would depend on the position of the captain you had chosen earlier in the game. Generally, you want to shore up your weaknesses, and there’s no specific rule of thumb when it comes to improving your weak points. But we personally choose to prioritize the defense by adding a better goalkeeper, or, when more funds are available, buying a new defender. You don’t want to get too edgy when the opponent is within your box, and bolstering your first and second lines of defense are a good way to go when playing the transfer market. It may take longer for you to see some marked improvement, but it’s also possible to spend gold to improve the stats of your players. Just tap on Team Management, tap on any one of your players, then tap on the Player Development tab on the lower right side of your screen. You will then have a choice of six different areas for improvement, with each area focusing on a certain stat – for example, developing Technique improves your player’s Crossing, Ball Control, and Passing ratings, while developing Defending improves their Strength, Tackling, and Heading. Normally, it costs at least 20 gold to improve or develop one of the six areas, though you may need to pay more if the stats being improved are on the high side. Be sure you’re looking carefully at your player’s current stats, because once you tap on one of the six areas, your decision is final, and your gold is non-refundable! Before we proceed with this final tip, we would like to give you a stern warning about rage-quitting – so far, we haven’t gotten penalized for abandoning a game by exiting the Dream League app while playing against AI opponents. But there is a chance that future updates may result in rage-quitters getting banned, even when done against AI-controlled teams. And you should definitely NOT rage-quit when playing against human opponents – game makers temporarily ban or perma-ban players who rage-quit against “real” opponents, and that’s something you absolutely want to avoid! Ideally, you’ll want to do away with this practice once you’ve thoroughly beefed up your lineup and you’ve gotten acclimated to the controls and gameplay of Dream League Soccer 18. But if you’re still getting used to things and are frustrated by those consecutive losses in the early goings, you could try rage-quitting at any point where your opponent has a good chance at scoring a goal…but do so at your own risk!